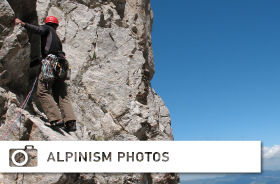 Alpinism was introduced on the rock faces of Mount Olympus during the summer of 1934, when Italian renowned alpinist Emilio Comici established the first routes on the east face of Stefani and on the northwest face of Mytikas. 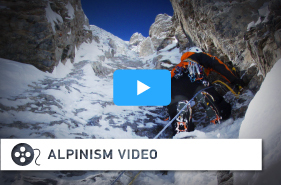 A month later Slovenian alpinists Marijan Lipovsek and Leo Pipan established the much-more-serious Slovenian route on the north face of Skolio. Since then there have been about 90 routes on the mountain, 68 of which exist on the upper mountain (Mytikas, Skolio, Stefani, Kalaia and Stauraities) whereas the remaining 22 have been established on the rock face of Zilnia, the characteristic south facing rock face easily seen from the main square of Litochoro. The first climbing movie for Mount Olympus is underway.